Coming soon the excitement of March Madness will spill over into the world of non-profits. 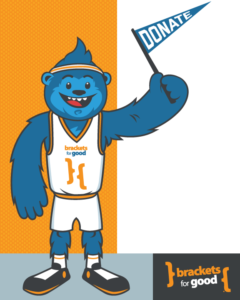 Brackets For Good is a program that puts donors in front of non-profits in a "competitive giving" event. We are prepping our game plan now as the first round opens on Feb 24th. Get connected to us via Facebook, Twitter or keep watching this website and we will show you how to donate.